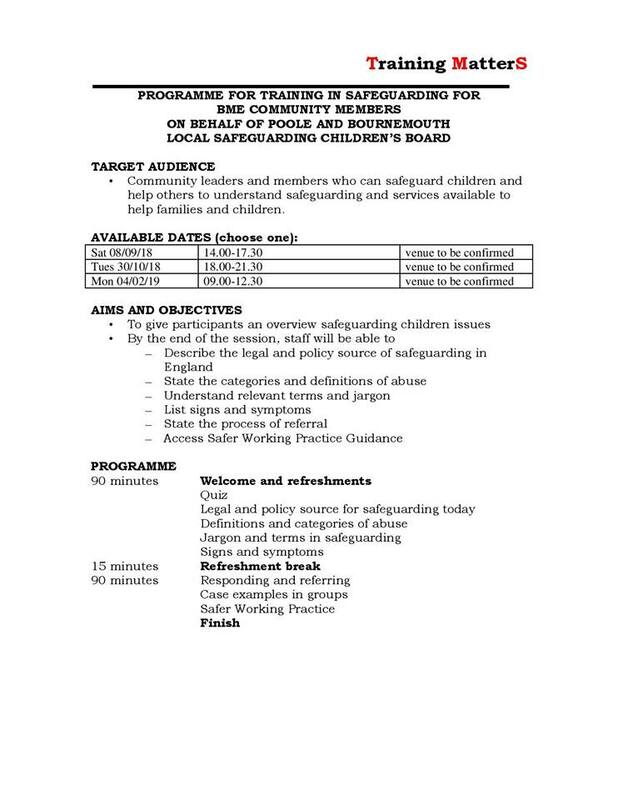 Dorset Race Equality Council are happy to introduce to you FREE training in Safeguarding For BME Community Members on behalf of Poole and Bournemouth Local Safeguarding Children's Board. See poster below or Facebook for the details. To book a space on any of those training sessions, please email [email protected] indicating your name, your organisation, your telephone number and the training date you have chosen. You can also book your space by phoning on 01202 392 954.